Jake was born and raised in Helena, Montana where he spent much of his childhood exploring the outdoors. 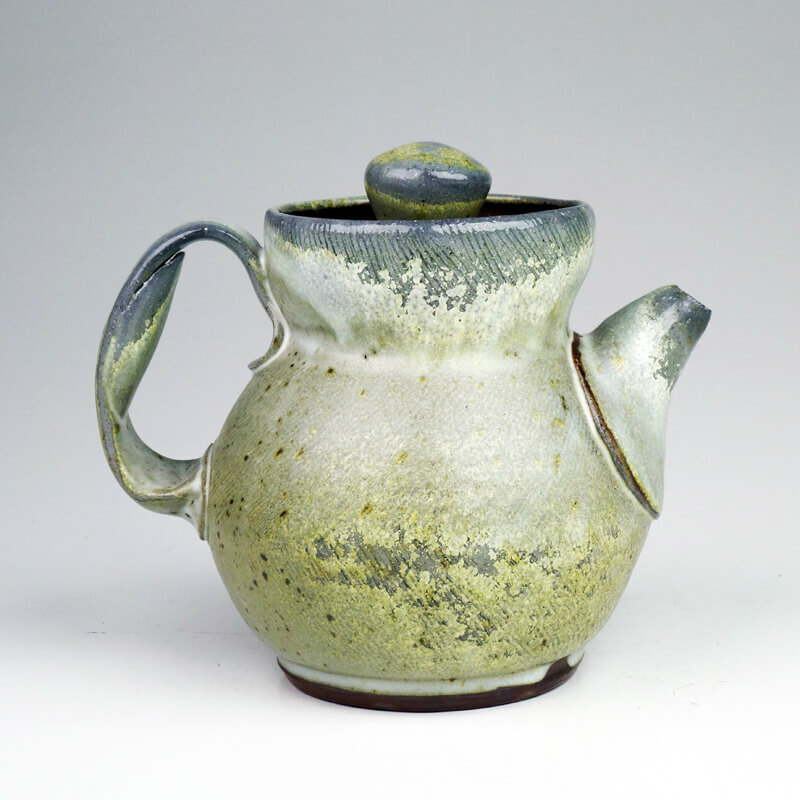 While studying psychology and neuroscience at Colorado College he often found himself in the school’s ceramic studio, and after graduating he decided to fully pursue ceramics. He spent time at Arrowmont School of Crafts and Penland School of Crafts as a work-study student, immersing himself in workshops before focusing his studio practice on wood and soda fired pots. He returned to Montana in 2016 to be closer to family and was quickly pulled into the clay community of Helena. He currently resides in Helena, where he works as a studio technician at the Archie Bray Foundation and continues to explore his love of clay and handmade pots. I am endlessly drawn to clay as a material and to the duality of its working malleability and fired rigidity. I strive to make pots that exude the softness of wet clay, capturing a moment in time when they were made, yet which stand on their own as a vessel with the potential to survive much longer than myself. I am influenced by artifacts and decaying remnants of human life – things such as relics, old buildings, stone, and rusting metal which mark the effects of time, erosion, and growth. I have a profound love for my home state of Montana and the vast outdoors that I grew up exploring. The extreme landscape and climate shapes my decisions about forms, surface treatments, and firing techniques. I primarily fire my work in soda and wood kilns, which accentuate lines and curves much the way wind and snow accentuate the edges of trees or the slope of a hill. Dark clay sets a backdrop for soft slips and glazes to create veiled layers of depth. These rich surfaces capture the allure and the tension of clay that constantly motivates me and pushes the exploration of my work.